The Special Committee on Causes of Decline in Tax Collection of Tobacco Sector, headed by Senator Kalsoom Parveen, has recommended a systematic increase in federal excise duty (FED) on cigarettes every year to comply with the World Health Organisation’s Framework Convention on Tobacco Control (FCTC) and increase government revenues. The committee also suggested a comprehensive strategy to stop the smuggling of international brands and the production of non-duty paid and counterfeit cigarettes within the country. In the report, Senator Parveen said that all the stakeholders – the Pakistan National Heart Association, tobacco growers, multinational companies, local manufacturers, the ministries of commerce and national health services (NHS), and commercial dealers – should be taken on board by the FBR in revising taxes on the tobacco sector. In The Federal Health Levy Bill presented to the cabinet for approval, the Ministry of NHS has also suggested a ‘sin tax’ on cigarettes, on the grounds that cigarettes cause some 108,800 fatalities every year in Pakistan – 298 deaths per day. 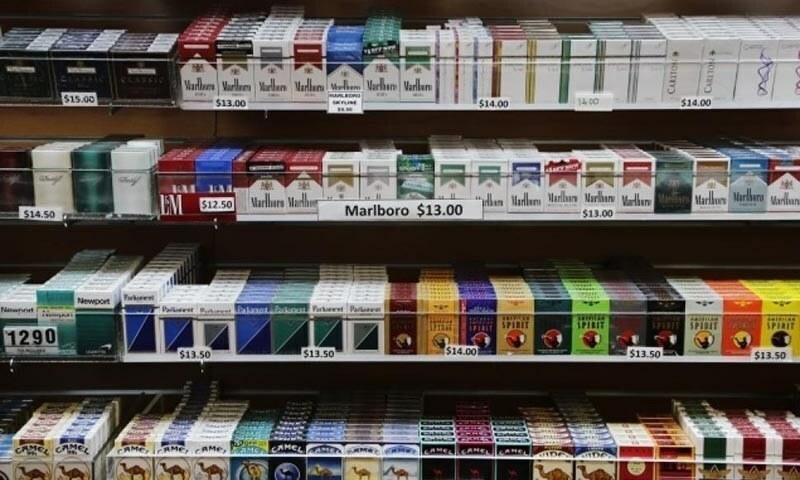 An official from the ministry said similar taxes and levies are called a ‘sin tax’, and have been imposed in around 45 countries including the United States, where $1.5 is charged on every pack of cigarettes. The United Kingdom charges 40p per litre on sugary beverages in the form of ‘sin tax’, and Thailand and India also have similar taxes earmarked for healthcare services. A spokesperson from the FBR, meanwhile claimed that there was a change higher taxes would increase illicit trade. FBR Member Hamid Ateq said: “A sin tax would eventually lead to rise in smuggling, and growth in the sale of cheap non-tax paying cigarette sector in the country.” He claimed higher taxes would lead to a decline in sales of legitimate cigarettes and eventually a fall in tax collection.